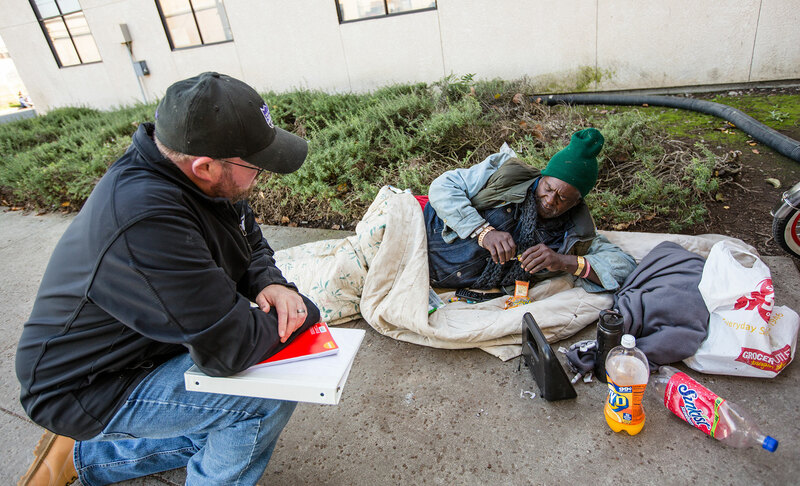 The Continuum of Care (CoC) Program is designed by the U.S.Department of Housing and Urban Development (HUD) to promote community-wide commitment to the goal of ending homelessness. As a part of the program, HUD awards grants annually to nonprofit providers, State and local governments to quickly rehouse homeless individuals and families. Sacramento Steps Forward is the lead agency for the CoC in Sacramento and convenes the 25 member CoC Advisory Board, made up of local stakeholders committed to ending homelessness. The Advisory Board includes nonprofit providers, advocates, people who have experienced homelessness, local government leaders, business leaders, law enforcement, and more. Each year the CoC Advisory Board initiates a competitive grant application process for organizations who wish to be included in the region’s HEARTH Act grant application that is submitted to HUD by Sacramento Steps Forward. To maximize the region’s funding award and the services that the funding supports, Sacramento Steps Forward and the CoC Advisory Board takes great care ensuring that local agencies have the opportunity to participate in a competitive application process that is both fair and equitable. Two key aspects support that goal. The first is our decision to contract with HomeBase, a nonprofit public interest law firm dedicated to ending homelessness. In accordance with their mission, they consult with continuums of care nationwide on CoC grant competitions where they bring an independent expertise to the table that ensures we are adhering to both HUD regulations and national best practices. The second is the Advisory Board’s appointment of non-conflicted panelists to a Review and Rank Committee, who are charged with reviewing local projects based on clearly defined application criteria and providing the Advisory Board with a ranked project priority list. The ranked list is made up of Tier 1 projects and Tier 2 projects. By HUD regulation each year, a certain percent of local project funding must be placed in the Tier 2 category. Since Sacramento Steps Forward became the Continuum of Care lead agency in 2011 and worked with the Advisory Board to facilitate the competitive grant application process,, the region has increased its funding and associated program beds each year. While Tier 1 projects are likely to be funded, Tier 2 projects must compete nationally for funding. Historically, Tier 2 projects in Sacramento have been funded due to their success in meeting project goals and being aligned with HUD priorities, but they do face a greater risk of not being funded than Tier 1. We understand that it places a lot of stress on Tier 2 projects, who we understand need the funding, but it is a necessary requirement that cannot be avoided. After the initial ranked project priority recommendation is made, applicants have the opportunity to appeal the committee’s decision before the priority list is considered and eventually approved by the Advisory Board. Since Sacramento Steps Forward became the CoC lead agency in 2011 and worked with the Advisory Board to facilitate the competitive grant application process,, the region has increased its funding and associated program beds each year. The vast majority of the CoC funding received by HUD is used to maintain housing for formerly homeless individuals who were considered the most vulnerable and required long term support to maintain housing. If the CoC receives additional funding, as it has each year since being managed by Sacramento Steps Forward, or a funded bed is voluntarily, new housing opportunities for people experiencing homelessness become available. The CoC Advisory Board is also charged with developing program referral policy and under that authority, created a Coordinated Entry system to determine who is selected for Permanent Supportive Housing and Rapid ReHousing beds, based on individuals vulnerability and length of time homeless.. This process ensures Sacramento’s alignment with HUD principles and that we find the right fit for each program to promote long term success and stability for those we serve. HUD published the Continuum of Care (CoC) Program interim rule in the Federal Register on July 31, 2012. This interim rule, which became effective August 30, 2012, establishes the requirements for the CoC Program, including requirements for applying for, and administering, grant funds as well as the regulatory implementation of the Continuum of Care and its responsibilities. The CoC Program interim rule incorporates the Final Homeless Definition that is used in Sacramento for HUD projects, as required.